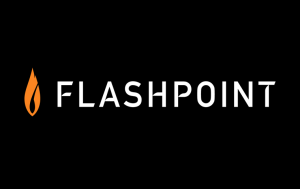 Over the past couple of months, Flashpoint, the global leader in Business Risk Intelligence (BRI), has been making an especially strong impression on the UK media with its research on the Deep & Dark web, underground cyber forums and extremist propaganda. With headlines that make a splash, a steady flow of insights from expert analysts, and business risk intelligence on the threats shaping the geopolitical landscape, Flashpoint’s intel and unique point of view is always of interest to the press. It’s not the first time Flashpoint has been in BBC News or The Times, but let’s look at recent coverage. 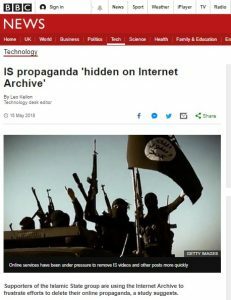 Senior Flashpoint analysts created a report on the Islamic State’s information-warfare strategy and its ability to distribute propaganda to targeted audiences online. When C8 reached out to its national media contacts they were keen to interview Flashpoint spokespeople and prepare stories for release. The goal being to support on-going efforts to combat ISIS’s online presence. In addition to breaking news reports, Flashpoint regularly produce blogs that describe new and persistent methods cybercriminals are using to commit theft and fraud. For example, a recent article described cybercriminals targeting job listing and recruitment portals to commit identity fraud and post phony job listings to conceal money-laundering operations. Whenever they release a report, Flashpoint will also offer corresponding mitigation advice. With a desire to remain front-of-mind with the press and build relations, Flashpoint conducts regular interviews and Q&As with technology media. Moreover, analysts share their expertise on activity on the Deep & Dark Web, and how underground communities around the world differ from one another in terms of evolution and tactics. C8 consultants work with Flashpoint to ensure their latest Business Risk Intelligence reports and cyber threat intelligence is widely known and well received by the UK media. From niche technology trade publications to national newspapers read globally, C8 ensure new research hits the newsfeed of Flashpoints target audience.